In this photo we see a unique application of window coverings. 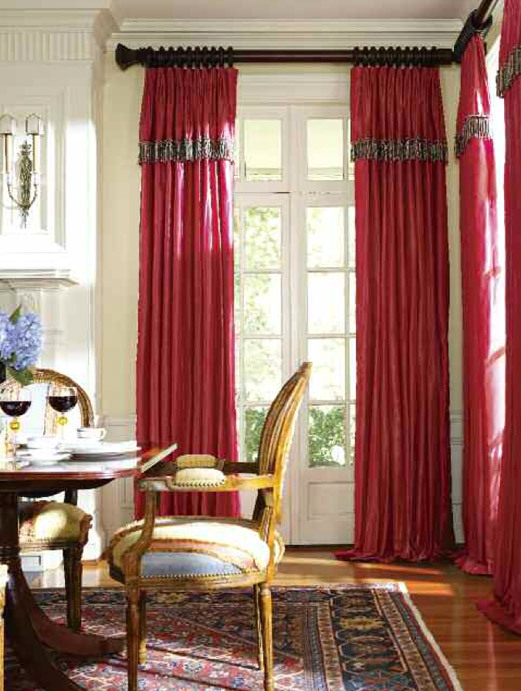 There is only one drapery panel on the left hand side which looks very elegant. 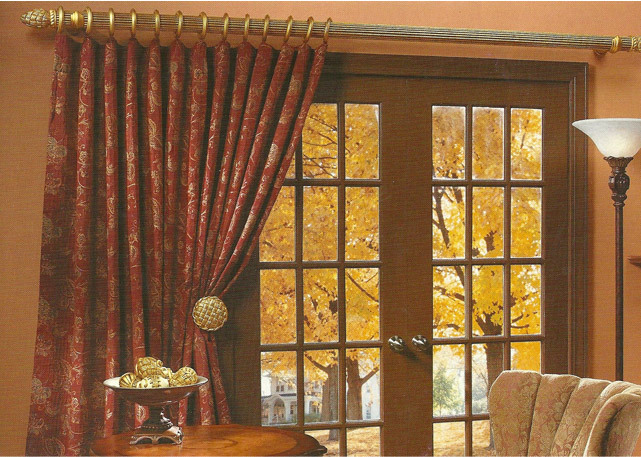 Also the curtain rod is much longer than the actual door, especially on the left hand side which gives the illusion that the door is much wider than it actually is, and also enables you to open and close both doors without damaging the drapes. It is also worth pointing out that although the actual curtain covers the wood frame, this curtain rod could have been placed an inch or two higher, in order to compensate for the ring drop which may slightly reveal the wood frame. Therefore, it is always better for the rod to be a couple inches higher than a couple inches lower. In this photo the frame was placed really high above the arched door frame. 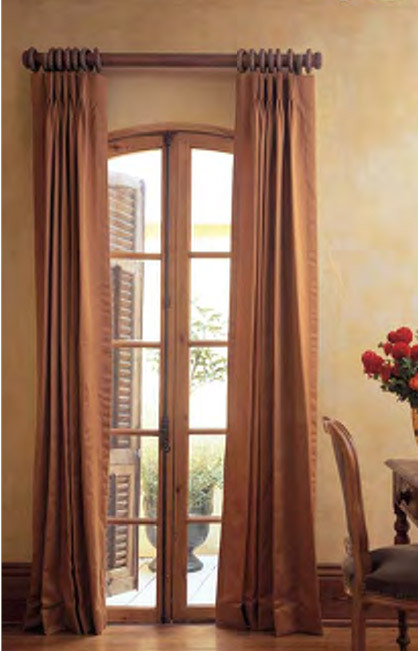 This gives the illusion that the room is taller, however some people may dislike the empty space between the door frame and the curtain rod, although when the drapes are closed this will not be visible. This photo illustrates a nice example of a curtain rod that is placed on a window which does not have much space due to the immediate wall to the right of it. The rod is placed fairly high above the window frame which makes it appear taller. It is also roughly 10-15 inches wider than the window frame which works very well in this application. 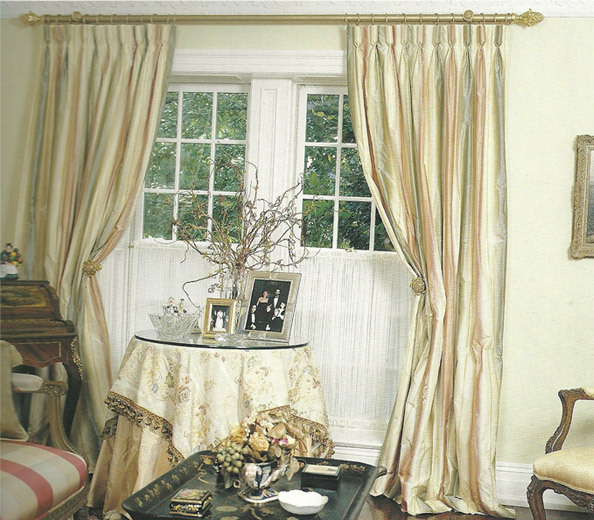 This photo illustrates beautifully how to position a curtain rod on a bay window which has an arched window on top. 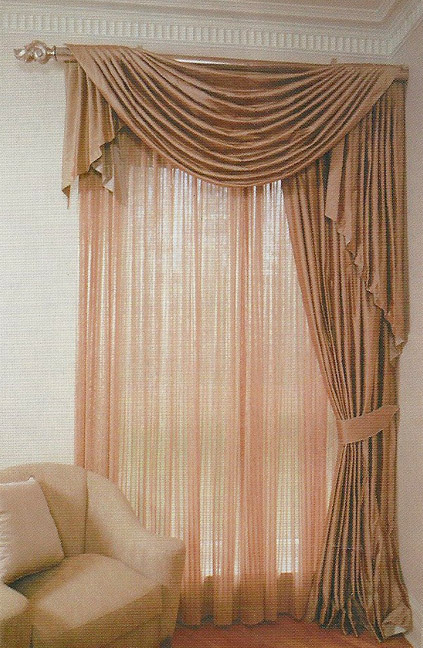 We can see that the curtain rod was positioned just above the window frame and as a result the curtain fabric covers the entire window frame when closed which is ideal. In this photo the curtain rod was placed flush with the ceiling cornice. 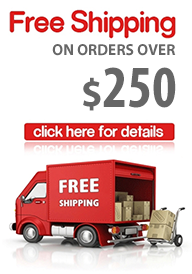 This gives the illusion that the window is taller. 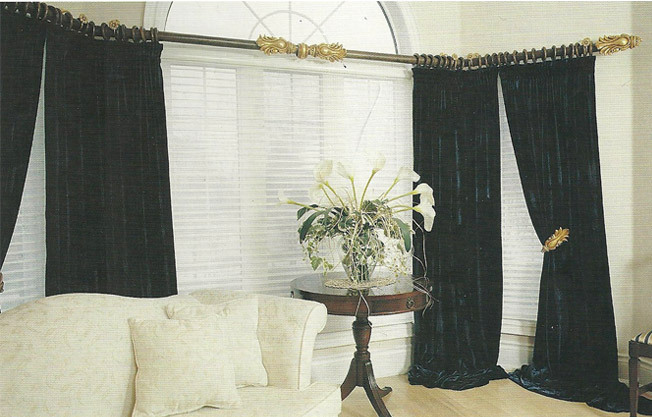 The curtain rod could have been placed slightly lower and would still look as good.